Android is still the leader when it comes to mobile platforms due to its affordability and convenient functionality. If you have an Android device (like most people do these days), you probably enjoy playing games on it. Thankfully, Android fans are spoiled for choice when it comes to games that work on this popular platform. Many developers focus on creating games for Android so you can find a great deal of titles that will keep you entertained when you are on the go. The downside is that the majority of games that you will find, require an internet connection. Finding an internet connection is not easy in all cases, and you probably don’t want to use all your data by playing a game when you are somewhere that doesn’t have a WiFi connection. Don’t worry, there is a collection of great games that can be played, even if you don’t have an internet connection. 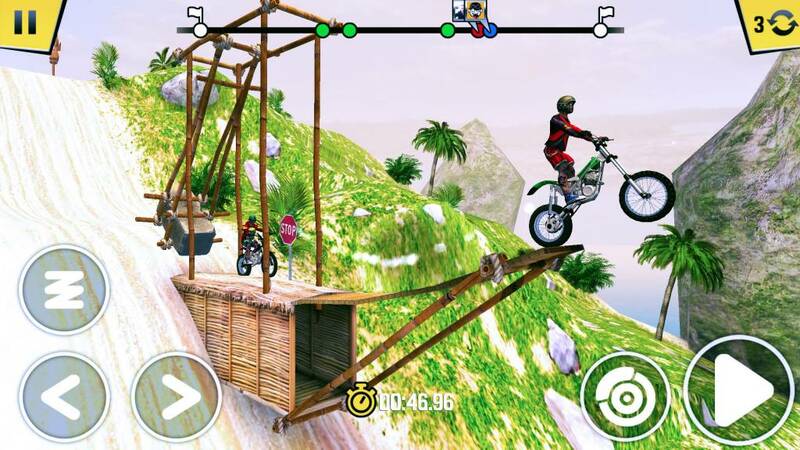 If you want to feel the thrill and incredible action of racing, take a look at Trial Xtreme 4. This is an adrenaline-filled racing adventure in which you will face over 160 incredible levels. You will need to show off your motor racing skills as you race through the different modes available. This game is extremely addictive and it is available for free. Hill Climb Racing focuses on Newton Bill, an aspiring uphill racer who is set to start an adventure that will take him to unexpected places, where he will face great challenges. There are many vehicles to choose from and many levels. The game offers amazing graphics and a varied selection of features. If you love speed and want a high dose of adrenaline, give Asphalt Nitro a try. This amazing game focuses on luxury licensed cars that you can control in any way you want. These amazing cars are capable of reaching incredible speeds. The game is lightweight (only 35MB) and there are multiple levels available. Here is another game that lets you have fin with all the action and thrill of racing. You will be able to drive through traffic and enjoy a realistic experience. The game features real motorbike sounds. You can upgrade and get new bikes that allow you to face challenging roads. In this game, you will be able to join Alto and his pals in a dangerous, neverending adventure that will take you through stunning alpine hills and the inescapable wilderness. You will need to rescue llamas, jump over scary chasms and much more. Altos Adventure gives you the chance to put your skills to the test and play with your friends. TO defend the swamp from an ongoing attack, you will need to arm yourself and take a stand against the invaders. There are scary monster that threat the peace of your home and you need to plan an strategy to stay safe. There is a lot at stake so make sure that you get the necessary weapons to protect the swamp and everything in it. Asphalt 8 gives you the chance of racing through challenging roads while you drive the fastest, most luxurious cars available. In addition, you can use bikes and to ensure that the experience matches your style, you can customize the vehicles. The strange force that came out of the Gates of Shadows has become a common source of power. It is used as a weapon and a tool, but not everyone is happy about this. The Legion, aims to eliminate hazardous energy. The Dynasty has found a way to use to benefit their own interests and the Heralds hide their real intent. This mysterious, atmospheric game is highly addictive. It is one of the best mobile games available and this third installment brings even more adventure and challenging puzzles. The Room features a beautiful world in which you are taken to a remote island. You will need to use your puzzle-solving skills in order to advance throughout the game. Warhammer 40,000: Freeblade is an exciting game that gives you the possibility of being part of an epic story. You will be able to put your skills to the test as you take control of a powerful, ruthless war machine. You will be able to use weapons to destroy your enemies and anything that gets on your way. In this game, you will experience intense speeds and will need to use your skills to avoid trains. Subway Surfers players will need to help Jake, Tricky & Fresh to get away from the grumpy Inspector and his dog. The game features colorful graphics and will be able to challenge and work along with your friends. 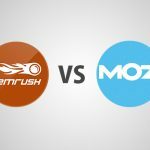 This is the follow-up to a very popular Facebook game that is loved by millions of users. The game is thrilling and it gives you the chance to get your character ready to fight, grabbing deadly weapons, unique armor sets and more. You will need to get ready to face many dangerous demons. The combat sequences are impressive and you can choose from a wide selection of weapons. Plants Vs Zombies is a legendary game that combines strategy, action and a lot of fun. The characters are amusing and the game play is highly entertaining. You need to bring together a group of powerful plants and plan the way to protect your brain from ravenous zombies. N.O.V.A Legacy gives you the chance to enjoy impressive 3D effects and a unique FPS experience. This game is inspired by the first episode of N.O.V.A. It is a lightweight version of that popular game. In N.O.V.A, the hero is Kal Wardin and you as a player will need to protect humankind by fighting alien invaders and find out what is causing their attack. This is a sequel to Red Bull Air Race, a highly popular mobile game that allows you to enjoy the speed and intense fun that air racing offers. You will participate in high speed competitions. You can challenge players from around the world and you can maneuver your airplane with a lot of flexibility. In Crashlands, you will need to make your way through an odd place, as you take on the character of Flux Dabes, a galactic trucker that is trapped in an alien planet after his latest shipment is derailed by a menacing alien known as Hewgodooko. The game features a complex story in which you will need to stop a plan to take over the world. Badland is an award-winning game that is loved by millions of players from around the world. The game is visually stunning and it has a unique atmosphere that will fascinate players. The game is set in a magical forest, but in the middle of all the beauty, there is something evil. Candy Crush is a hugely popular game that offers an incredibly varied experience with several levels. It is one of the biggest puzzles games in history and if you have a mobile, you have probably already played it or at least, you have heard about it. In order to progress in the game, you will need to switch and match candies in this incredible puzzle adventure. There are many rewards to be received. Final Fantasy is an epic saga with millions of fans around the world. This version of the game focuses on Zidane and the Tantalus Theater Troupe, which have kidnapped princess Garnet. However, unknown to them, the princess wanted to escape. The game features unique characters and a gripping story. Limbo offers a very special gaming experience. It is the story of a boy that is looking for his lost sister in a dark land, known as Limbo. There are many challenges to overcome and puzzles to solve. Limbo offers remarkable graphics and scary, yet appealing visuals. Minecraft is a worldwide phenomenon. It allows players to explore their creativity, imagining and creating new worlds. You can build many different things and enjoy an endless adventure. Minecraft offers many different options of players and you can customize the game according to your own preferences. Pixel Dungeon is a classic game that features pixelated graphics. At first sight, it is quite simple, but if you enjoy a traditional style that offers a lot of entertainment, it is definitely worth trying. Pixel Dungeon is a challenging game that will test your skills. If you want a game that is fun and relaxing at the same time, why don’t you give Mekorama a try. This game features dozens of puzzles and mechanical dioramas. You will be able to help small robots to get home. The game is great to relieve stress and it features endearing characters. It is lightweight and easy to play. It is available for free, but you can support the developer with a donation. In this game, you will take control of a shark with a big appetite. The game features an incredible underwater world and it gives you the chance to play as legendary sharks such as the Great White and Megalodon. Epic Skater is a free game in which you skate through the streets of L.A. The game features an extensive selection of tricks and combos. You have freedom to play in the way you prefer. Epic Skater is perfect for mobile devices and you can play with your friends.